Recently we read a news piece on Pymnts.com how imposter scams are on the rise, so much so that instances of such have surged ahead of identity theft, according to the Federal Trade Commission. It was mindful of a case of merchant account fraud we experienced a few weeks ago. Being a provider of merchant accounts to high risk e-commerce business owners, we see occasional instances of merchant account fraud – mostly cases of possible transaction laundering or merchants trying to hide their flawed processing history in pursuit of lower rates. This brazen merchant attempted to pay his setup fees with stolen credit card information, something we don’t take lightly. The merchant was in the beauty products industry. In the final stages of our vetting process, the merchant attempted to pay for our $199 domestic setup fee with his credit card, which was initially denied and, for us, was cause for alarm. We confronted him and he claimed he had just moved to the south from New England, and needed to change his address with his credit card issuer online. We gave him the benefit of the doubt. The credit card then went through, and the merchant was able to begin processing transactions. Everyone was happy, so we thought. A few days later, however, we received a call from a consumer in New England claiming his credit card had been wrongly used for a $199 transaction (our domestic setup fee) through our company. We explained to him it was used to open a merchant account with us. He had no idea what we were talking about. Immediately, we put a hold on the merchant account, notified the acquiring bank and contacted the merchant. He claimed the consumer who contacted us was his business partner who lived in New England. The merchant even called the next day, with said business partner (who, strangely, developed a drawl over the last 24 hours). We weren’t buying it – there were simply too many red flags – and promptly closed his merchant account before he could receive a payout. We cannot emphasize that the most important part of getting a merchant account is transparency. Our staff of merchant account managers also serves as underwriters, and are astute at identifying red flags. Additionally, the acquiring banking partners with which we work also have their underwriting protocol. If there is fraudulent activity, one of us is going to find it. Not only do we perform underwriting and due diligence on prospective merchants, Instabill offers merchant account fraud protection measures such as 3D secure transactions, resources for PCI compliance and MaxMind fraud protection. 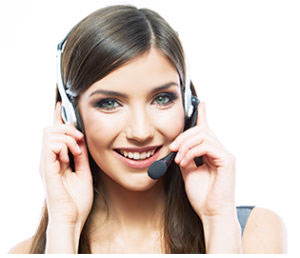 Speak directly with a merchant account manager at 1-800-530-2444 or click on the live chat option below to find out more.